Product prices and availability are accurate as of 2019-04-23 23:30:41 UTC and are subject to change. Any price and availability information displayed on http://www.amazon.com/ at the time of purchase will apply to the purchase of this product. 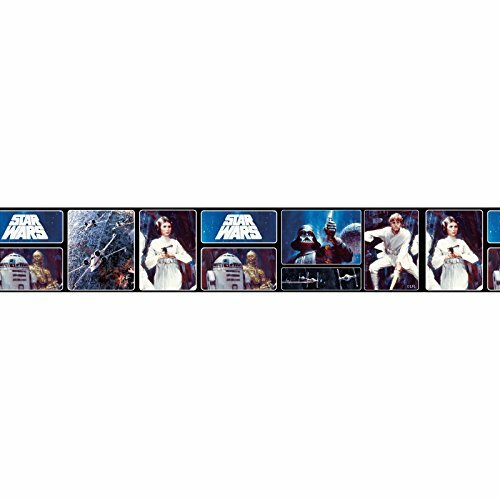 Create a Star Wars themed room with minimal fuss and effort with this official wallpaper border. The self adhesive backing makes the border incredibly easy to apply, with no need for messy glue or paste. The cool design features characters from the original films such as Darth Vader, the Droids, Princess Leia and Luke Skywalker along with X-Wing and TIE fighters on a space themed background.